Programs like A.L.I.C.E are in place in the case of violent encounter, as safety precautions. John Gaffin, police chief at NKU, said that they use A.L.I.C.E training to prepare students and faculty in the case of an open shooter on campus. In 2017 alone, 574 citizens have been killed in a mass shooting in the U.S., according to Mass Shooting tracker. 1,853 have been injured. John Gaffin, Chief of NKU’s police department, wants students to be aware of options: ALICE (Alert, Lockdown, Inform, Counter and Evacuate) is in place both to “raise awareness and help prepare individuals on how to respond in a violent encounter,” according to NKU’s website. The university has recently started to train incoming freshman with an abridged version of ALICE, which informs them of what to do in such situations–this includes how to lockdown, barricade, evacuate and counterattack depending on the situation at hand. Gaffin said that being prepared is important because an individual who wishes to carry out these acts will not tell their plans or strategies to the police. “Obviously, we want to try and prevent everything we can, but it’s not like someone is coming to campus saying ‘Okay, I’m gonna do this tomorrow.’ I think the biggest thing we do is prevention,” Gaffin said. The Student of Concern Committee–housed within the student conduct office–meets with different groups at NKU, from the police department to student conduct, in an attempt to correlate potential students who could cause harm to themselves or others. To make a report of someone who may cause potential harm to themselves or others, go to the student conduct website. Strategizing and planning are the main components to ALICE. In the event of a shooting on campus, Gaffin hopes students, staff and faculty would rely on their training to help them. In the event that you need to protect yourself to prevent someone from entering where you are, Gaffin suggests blocking any entryways to a room. “One of the things we focus on in ALICE training is to stack tables and chairs. Anything that you can against that door because it’s near impossible to open a door that’s got all of that stuff stacked against it,” Gaffin said. If the worst-case scenario does occur and you were to encounter the shooter, Gaffin said you need to ‘fight’ in order to ensure your safety. Most people that carry out these acts aren’t accurate shooters, to begin with, according to Gaffin. He suggests that if you were to encounter the person to distract them. Norse Alerts would notify students, staff and faculty of any emergency on campus or in the area. To sign up for these alerts, you can add your phone number and email in your ‘MyNKU’ account. You can even adjust the settings on how you want to be notified through texting, emails or phone calls. In the event of an active shooter, Gaffin said a Norse Alert is how you might find out. Depending on the time of the event, Gaffin said the Norse Alert might not have all the details of the situation. 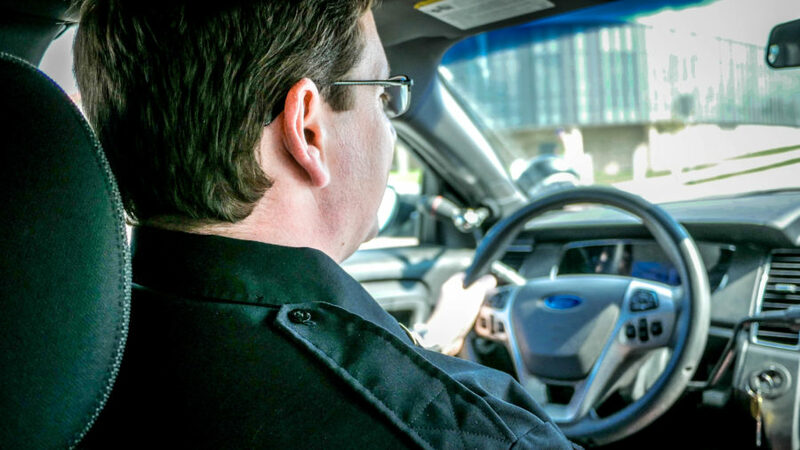 “If we’re thirty seconds into this incident, you know the dispatcher’s phones are going to be ringing off the hook, so you may not have all the details. What we’re gonna tell you, probably, is ‘there’s a dangerous situation, it’s here, seek shelter, avoid the area.’ That’s probably what you’re gonna get at first,” Gaffin said. Gaffin said people should call the police if they feel something is wrong, or see something suspicious happening. 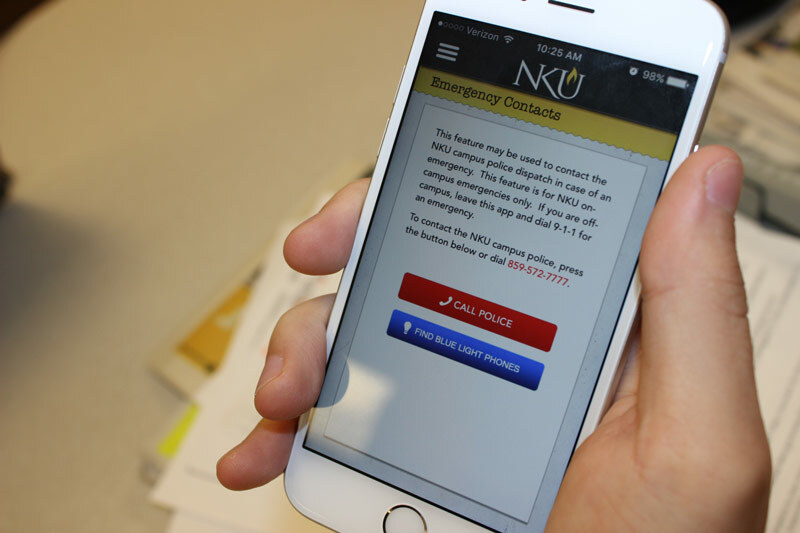 Gaffin said anyone can sign up to receive the Norse Alert through NKU’s app, which has a safety subsection that links to the signup page and helpful tips. “Clearly, we’re the people identified at keeping things safe and making things go well, but we can’t be everywhere at once. It’s very helpful when people call us with these kinds of things that don’t look right, or they have a concern. That’s always helpful,” Gaffin said. In 2017 NKU was ranked 15th place of the safest schools in the U.S. by Rent College Pads, based on crime per capita. To make a report of an individual who may cause potential harm to themselves or others, you can go to the student conduct website.